At one time or another, many of use can recall plucking a dandelion from the Earth and blowing its delicate florets to the wind with a wish in mind. Enchanted by this wonder-filled aesthetic and slight physical nature, designers Ralph Nauta and Lonneke Gordijn took hundreds of dandelion seed heads and created a new natural wonder. 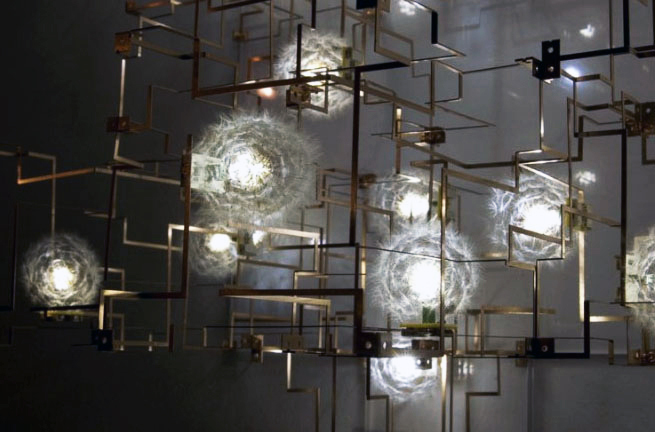 Dubbed the Fragile Future III, this stunning chandelier tells the story of the amalgamation of nature and technology within a compact network of metal squares encasing LED lights encircled by tiny dandelion clouds. Read on to discover more about the painstaking craft of this gorgeous constellation. 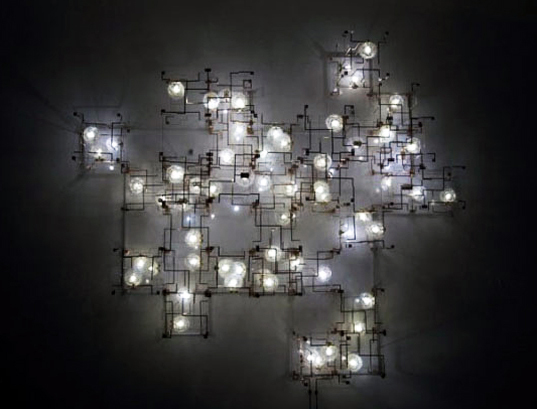 The chandelier is a geometric structure which radiates off a concrete block at the core of its construction, and LED lights have been affixed throughout the design shining bright through tiny spheres of dandelion seeds. Surprisingly, this is the third incarnation of Fragile Future – supposedly not as delicate as previous versions. Moreover, for anyone who would like to install one in their home, the designers will deliver it encased in plexiglass (for safety) and provide five replacement dandelion lamps. 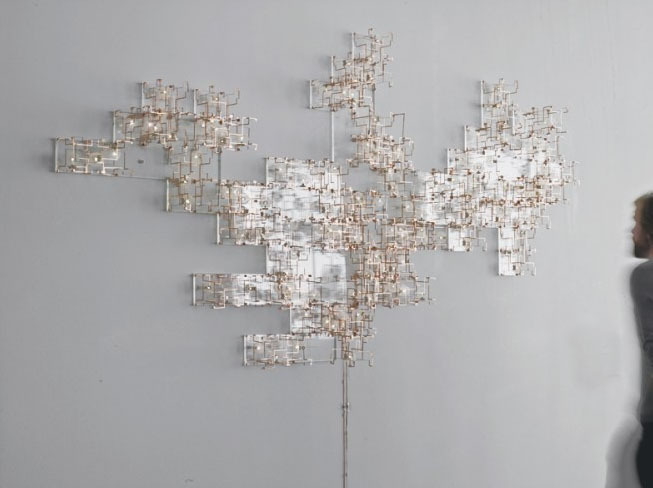 The piece won this year’s Moet Hennessy Prize at the Pavilion of Art & Design London.